TOPSoccer (The Outreach Program for Soccer) is a community-based training and team placement program for young athletes with disabilities, organized by Iowa Soccer volunteers. The program is designed to bring the opportunity of learning and playing soccer to any boy or girl who has a mental or physical disability. Our goal is to enable young athletes with disabilities to become valued and successful members of the Iowa Soccer family. TOPSoccer is a US Youth Soccer program. Iowa Soccer currently offers a program in Urbandale. If you are interested in learning more about the program please contact the community coordinators. 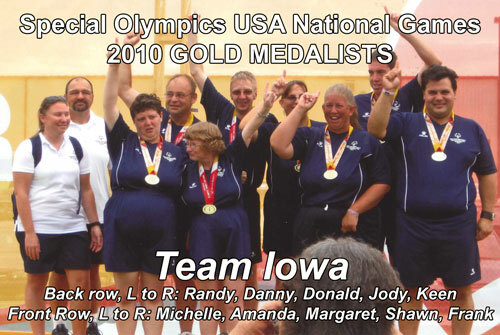 Congrats to coach Randy Anderson and his team for winning a gold medal at the 2010 USA National Games. Coach Anderson states that he couldn't be more proud of his team as it was twice as old as most it competed against. Well done!